Home » Coast to coast » Continuing the fight: Justice for Jovan! Continuing the fight: Justice for Jovan! After Valentia Fresco (aka Jovan Blake) was killed by Metro Enforcement security officers on April 16 in Rockford, Ill., his family has held multiple demonstrations to demand charges be brought against the security guards who shot and killed him. 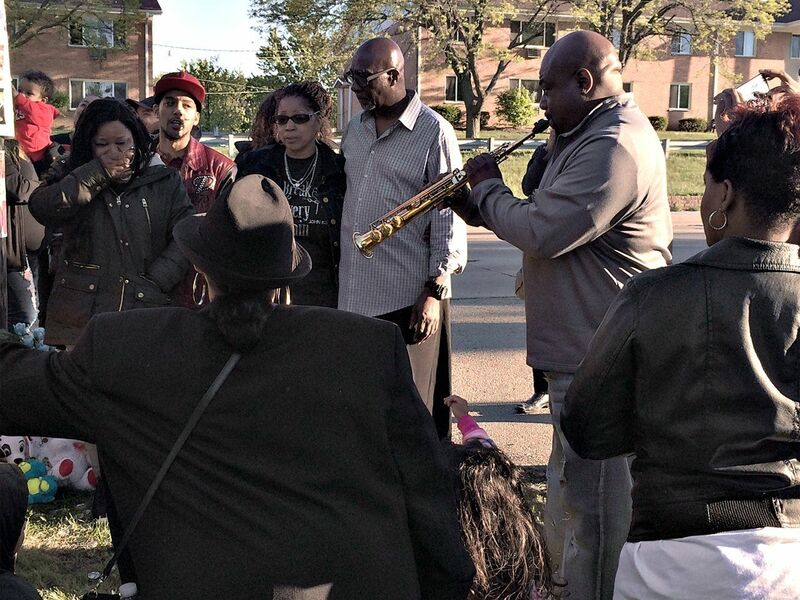 Keeping up the pressure on Metro Enforcement and the Winnebago County State’s Attorney, family and community supporters held another powerful protest to demand justice for Jovan on May 13. The protest, led by Blake’s mother and other family members, marched around the block of Metro Enforcement’s local office to take the message directly to the private security agency that they will not be silent or let murderers patrol their neighborhoods. The size of the protests continue to grow as more people in the community become aware of what took place on April 16 and relate that to their own experiences of mistreatment or loss of loved ones at the hands of the police and Metro Enforcement. Two days later, on May 15, a memorial was held at the site of Jovan’s murder. Family and friends spoke briefly of his life working hard to care for his children. Gathered there were also family members of other young Black and Brown men murdered by police, notably the family of Mark Anthony Barmore, whose murder by police in the daycare of a church in 2009 gained national attention. Barmore’s family stated that they will stand with Blake’s family through their time of struggle with the loss of a loved one and their fight for justice.